Free Auto Fuel template for Organizer Deluxe and Organizer Pro users. Monitor the fuel consumption and expenses for each vehicle. 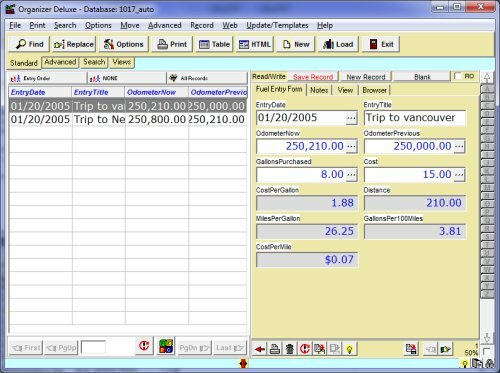 Manage information including odometer reading, trip date, price, distance, notes, and more. For each vehicle use the same software template.